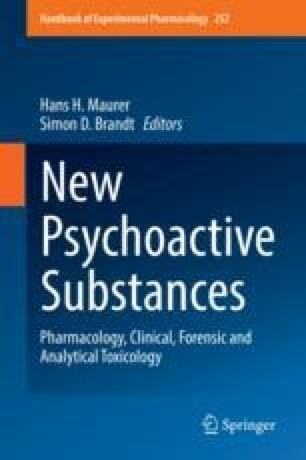 This chapter describes how new psychoactive substances (NPS) have been involved in fatal intoxications from 2010 and onwards. It summarizes the circumstances, antemortem symptoms, and adverse effects that have led to death after ingestion of one or more NPS and tabulates concentrations, and postmortem findings from these intoxications. Consumption of NPS exerts health problems and unknown risks for the users. Data on toxicity of many NPS are scarce or nonexistent and long-term toxicity and risks are still largely unknown. In addition, purity and composition of products containing NPS are often inconsistent or not known, which places users at high risk as evidenced by hospital emergency admissions and deaths. The most serious threat to drug users are the synthetic opioids that with strong central nervous depressant effects have caused numerous accidental deaths spread over the entire globe. The synthetic cannabinoids seem to be the most unpredictable with no clear toxidrome and unknown or poorly understood mechanisms of toxicity, but with adverse effects pointing toward the cardiovascular system. The toxidromes commonly encountered after ingestion of cathinones and phenethylamines are of sympathomimetic and hallucinogenic character, which includes risk of developing a serotonin syndrome, excited delirium, and life-threatening cardiovascular effects. In comparison to their conventional “parent” drug, i.e., heroin, cannabis, and amphetamine, most NPS appear to exhibit more severe adverse effects. The deaths attributed to NPS have dramatically increased in the last years. In our opinion, this is because of the shift from synthetic cannabinoids and cathinones to the even more toxic and dangerously potent fentanyl analogues.